Love is a strange creature. ElegoMall wish you have a sweet and nice Valentine's Day! Today, ElegoMall will present you a simple interesting vape kit. Do you like the Zippo device? Here is a brand new Zippo Vape device for you. It is Vaporesso Aurora Play Pod Starter Kit. Vaporesso Aurora Play Kit will be the right kit for the Zippo lovers and help to relax you. Let us read more details about it. Vaporesso Aurora Play Pod Starter Kit is a brand new pod system from Vaporesso R&D team. 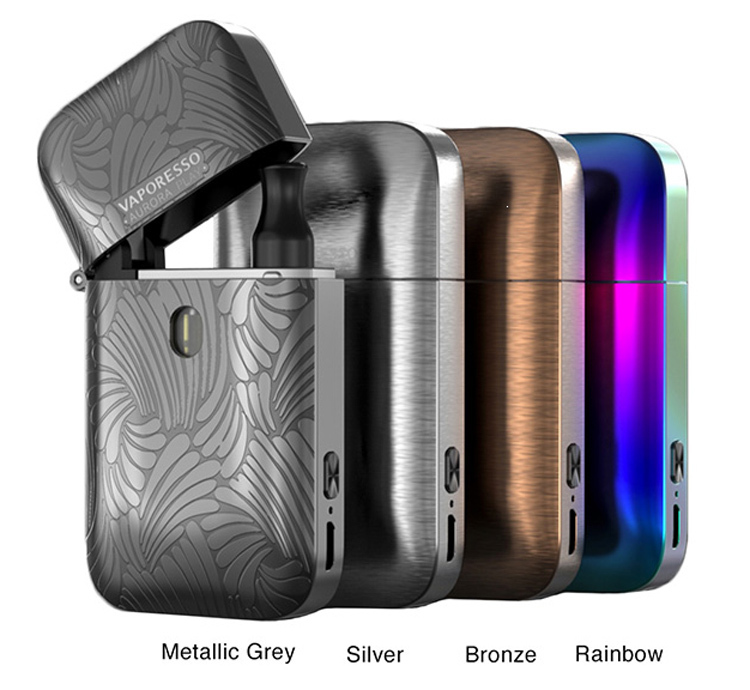 Vaporesso Aurora Play is designed with the Zippo appearance. And its size is a little bigger than the Zippo lighter. Aurora Play Kit has a USB port and a button for power on the side. And the indicators are hidden between them. Vaporesso Aurora Play Kit has three colors light to tell you the remaining power. And the most important what you pay attention is the cover. After a short test, this cover design will satisfy you a lot. The Vaporesso Aurora Play adopts new PTF (Press To Fill) design, so you will refill the POD freely without taking it off. The Aurora Play comes with two pods, 1.3ohm and 0.65ohm. Vaporesso Aurora Play Pod System Kit is best for the regular juice and nic salts vaping. What do you think of the Vaporesso Aurora Play Pod System Kit? Will you start to use it to relax instead of the hand spinner pod kit?